David Blanchard works on Esri Canada’s Automated Vehicle Location solution, which is a hosted product (like ArcGIS Online) for municipalities and other agencies that have snow-clearing operations. 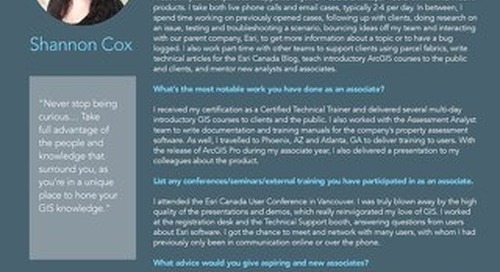 Learn about Shannon Cox’s experience as an associate participating in Esri Canada’s User Conference. 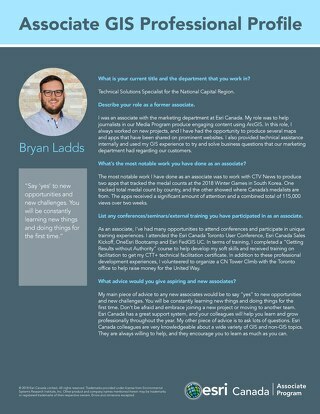 Discover Bryan Ladds’ advice to aspiring and new associates.